Land grabbing in Accra is now reaching dizzying heights. Two weeks ago about 50 muscled men menacingly stormed a large piece of land by the George Bush Highway - almost opposite SamÂ’s Cottage and asked squatters to leave. A 27-year-old suspect, Stephen Quarshie, a member of a gang of armed robbers specialised in robbing filling stations and big shops within Accra and Tema, has been grabbed by the Amansaman District Police Command. The Fast Track High Court on Tuesday began the open trial of Christian Asem Darkey who allegedly imported 77 parcels of cocaine on board the MV Benjamin when the state produced the fifth prosecution witness. Oman FM, an Accra-based private radio station, led the pack of 31 selected radio stations monitored by Media Foundation for West Africa (MFWA), a civil society group, on the Indecent Language project on radio. Iran President Mahmoud Ahmadinejad on Tuesday delivered special message to President John Atta Mills at the Castle, Osu. The Ashanti Regional Police Command is insisting that the man gunned down by the police at Sepe-Timpom in Kumasi, last Saturday was a criminal. An Accra Circuit Court on Tuesday discharged 13 students of the University of Ghana, Legon who have been accused of sexually abusing a Madina-base petty trader, Amina Haruna at Mensah Sarbah Hall, Annex Â‘BÂ’. A SELF-Help Electrification Programme, which is being embarked on by the people of Adaa, a village near Derma in the Tano South District has been hijacked by Madam Hanna Bissiw, the Deputy Minister of Works and Housing. The media has been urged to show results in helping meet the targets of Millennium Development Goal (MDG) 5 (aVisit Peace FM Online for latest news, breaking news, audio and feature stories in Ghana Your chances of dating that hot chickÂ—or any woman for that matterÂ—are likely to go down the tubes if you take an approach that falls into six of the worst ways to ask someone out. The most effective way to ask someone out is typically to take a deep breath, be yourself and let your natural charm shine through. The worst ways to ask someone out typically include trying too hard to be clever, cavalier or someone youÂ’re not. A six-year-old boy is so hungry he feeds on milk from the teat of a stray dog in India. 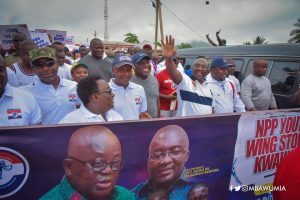 Vice President John Dramani Mahama would on Saturday launch projects involving the construction of two new cities to be situated in the Greater Accra and Western Regions. Vice President John Dramani Mahama on Friday launched the afforestation component of the Savannah Accelerated Development Authority (SADA ), at Vea in the Bongo District of the Upper East Region. Â“I cannot accept a situation where Yemi is enjoying her husband and mine at the same time thus denying me the opportunity to enjoy my husband,Â” said Mrs. Ruka Amoha, a mother of three. Gunned down with an AK47 as baying villagers cheer in delight, this is the shocking moment a burqa-clad woman was executed in Afghanistan for her part in a Taliban love triangle. A National re-afforestation project to stop environmental degradation within the operational zone of the Savannah Accelerated Development Authority, SADA, has been launched at Vea in the Bongo District of the Upper East Region. A COUPLE were busted after trying to smuggle their baby into the United Arab Emirates - in their HAND LUGGAGE. The Egyptian husband and wife were arrested when airport security staff spotted the five-month-old in a bag scanner, which emits powerful X-rays. Malian citizens resident in the Accra have called on President John Evans Atta Mills to intervene in the Malian crisis and help bring peace to the country. Drug addicts have now taken over the Salaga Market in Accra which was abandoned when market women were asked to vacate the building in 1996 for renovation. The European Union (EU) in Ghana has disbursed Â€24 million to Ghana's Multi-Donor Budget Support (MDBS) framework.